Anthony joined HBK in January 2011. He has nearly a decade of accounting experience in both the private and public sectors, including Big Four experience, with a concentration in tax preparation, planning, compliance and consulting services. Anthony works with clients in a number of industries ranging from manufacturing, construction and real estate to medical and legal professionals, architecture, and non-profit organizations. 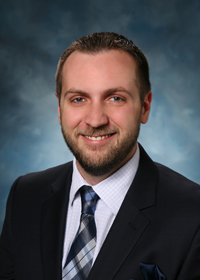 Anthony participates as an instructor for internal firm wide staff-level tax trainings, and serves as a member of the Tax Specialists Group that works closely with HBK's Tax Advisory Group. He is currently in his second year serving as Treasurer for Resource Depot, a local non-profit creative reuse center, where he has been able to contribute to his community. He and his wife Lyndee relocated to Palm Beach North in 2011 after graduating from FGCU, and have quickly come to love the area that they and their daughters call home. He is happy to be a participating member of the Palm beach North Chamber and looks to continue making a positive contribution to his community.